Lady Gaga's character from "A Star is Born" performs "Always Remember Us This Way" amid a montage of clips from the film. The video is composed of various clips from A Star Is Born (2018). Features Gaga's character singing a tribute to her late husband Jackson (played by Cooper). 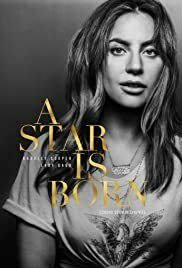 The video is composed of various clips from A Star Is Born (2018). Gaga's character, Ally, records "Look What I Found" in a recording studio. Bradley Cooper and Lady Gaga perform "Shallow" from their film A Star is Born. A woman does a raw performance of her song in a desert and sees an illusion of a band performing with her and fans cheering and singing along with her song. Music video for Lady Gaga's Paparazzi. The official music video from Lady Gaga's 2016 studio album 'Joanne'. Music video for Lady Gaga's applause. Music video for Lady Gaga's hit single "You and I".